Jing said that a regional capability would be achieved for the Beidou 1 “test system” in 2008 “or maybe next year,” and that funding for the development had been approved by the government. In response to a question from the audience, however, Jing said that he had “no information” to provide about budgetary approval of the global program. “We want to take care of Beidou 1 users,” Jing said, referring to the first-phase system, which had its first satellite launch in October 2000. 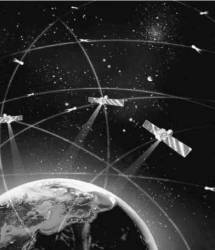 That system uses an “active” radiopositioning technique based on time difference of arrival (TDOA) information passed among geostationary (GEO) satellites, a ground station operated by BDStar Navigation (the BD stands for Beidou), and user equipment. In contrast, Beidou 2 uses middle earth orbiting (MEO) satellites and CDMA-based navigation messages similar to GPS. The first and only Compass MEO satellite was launched in April 2007. In a keynote presentation at the Shanghai Navigation Forum 2007 (NaviForum) in December, however, Liao Xiaohan, deputy director-general of MOST’s High & New Technology Development & Industrialization Department, assured his listeners that “we have provided sufficient financing” for the Compass/Beidou system. The NRSCC, a branch of China’s Ministry of Science and Technology (MOST), is the designated agency for cooperative efforts on Europe’s Galileo program following an October 2003 agreement between the European Union (EU) and China. Under that agreement, NRSCC formerly worked with the Galileo Joint Undertaking (GJU) and, following the discontinuation of the GJU earlier last year, now works with the European GNSS Supervisory Authority (GSA). 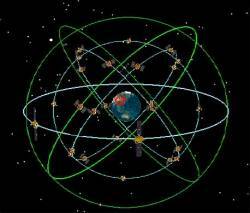 The Compass program, however, falls under the direction of China’s defense ministry and operates out of the China Satellite Navigation Project Center (CSNPC), where activities fall under departments for project management (PMD) and general technology (GTD). The PMD is responsible for management of Compass research and construction, international collaboration and communication, frequency cooperation, and so on. The GTD is responsible for overall design and technology development. ICG agenda focused on the committee’s workplan and the next full meeting December 8–12 in Pasadena, California. It’s not so much that China is of two minds on the subject, more that the nation’s satellite navigation program is proceeding on dual tracks — triple tracks, if the Galileo involvement is counted. Indeed, Jing moderated a panel discussion at NaviForum 2007 that brought together the three initiatives in a dialog that included Compass/Beidou developers and representatives of user communities as well as European delegates. That dialog revealed a certain dichotomy of emphasis among civil and military agencies in terms of the interest in Galileo cooperation versus building out Compass quickly. In a subsequent presentation in Munich, Yin Jun, director of MOST’s European office, said that China supports construction of Galileo and was interested in further further collaboration during the operation phase. “We should have our own independent [GNSS] system, but that doesn’t mean we close the door to other systems,” Yin said. Another consideration that may explain the emphasis on completing the regional capability is that Beidou will be used — along with GPS — to monitor traffic congestion and support security operations during this summer’s Olympics in Beijing, according to the CSNPC’s deputy director Ran Chengqi. In fact, Beidou has been used for a number of years in a variety of military and security applications. China had originally indicated plans to participate in the ICG as a provider of a regional system. However, before the ICG meeting in Bangalore, India, last September, they contacted the ICG secretariat and asked to be considered as a provider of a full-fledged GNSS. Inevitably, the complexity and ramifications of developing a global rather than merely regional system become more apparent in the doing of it, as the other three GNSS providers — the United States, Russia, and Europe — have already discovered. A couple of challenges include the need to build a worldwide ground monitoring and control system as well as to operate compatibly with other GNSS systems, a principle to which China has already committed itself under the terms of a joint statement issued by the Providers Forum in Bangalore. Jing pointed to establishment of global monitoring stations as one way that other nations could cooperate with China on Compass to create a network similar to the International GNSS Service. 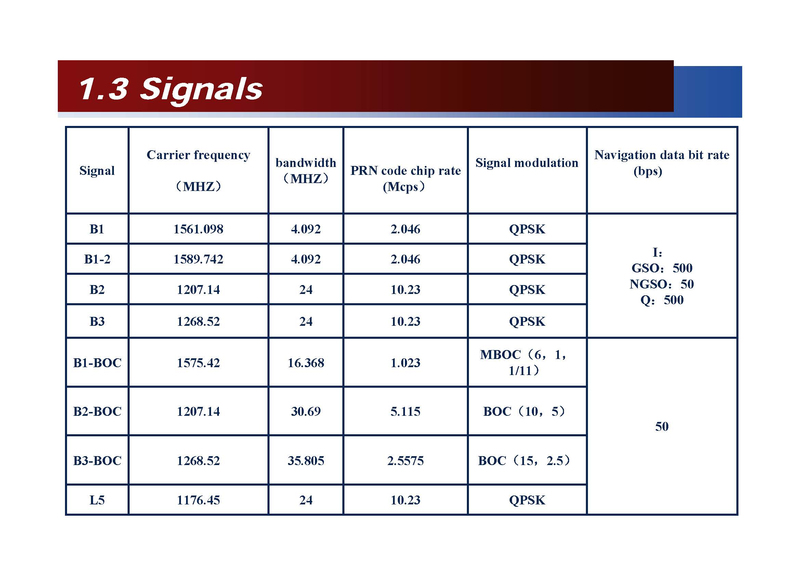 As for compatibility, a key issue is China’s proposal to overlay Compass signals on a portion of the L1 frequency where Europe plans to transmit its Publicly Regulated Service (PRS), an encrypted signal that would be used for security applications such as police, fire, and customs and immigration purposes. As part of its participation in the Galileo program, China had attempted to gain access to PRS but was rebuffed by the EU. Chinese officials have repeatedly said that the Compass frequency plan has still not been finalized and the topic is under negotiation. 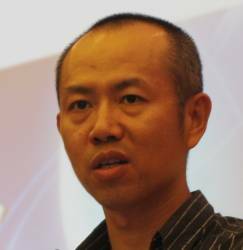 Yin said that a special China/EU working group on frequency coordination had been set up. Representatives from the European Commission met with Chinese counterparts in Beijing last summer to discuss the situation, and two more meetings were are planned this year, according to an EC official involved in the talks.